A number of 3view boxes are being listed for sale on Ebay with links to this website and its associated forum. This website and its associated forum have no connection with any of the vendors. Furthermore, potential purchasers should be aware that the 3view PVR ('set-top box') never did, and never will, function as it was originally conceived and advertised. At the moment many functions are unavailable, it is unstable, and it is only capable of being used in a limited fashion after installing a patch which has been generously provided by a user. Please also note: the manufacturer of the 3view has failed and manufacture of the units and its constituent parts has ceased. In view of these developments I have decided to rescind my previous decision to freeze this page. It would appear that recent changes to the EPG data are causing the 3view boxes to freeze and require multiple reboots. Members of the 3viewpvr.info forum at http://www.3viewpvr.info/forum are investigating the problem and are working on finding a 'fix'. Anyone who would like to contribute to solving the problem, or who simply needs advice, should register on the forum. 'Barry the Sprout', a subscriber to the 3viewPVR.info forum, has undertaken extensive research on the 3view firmware and has discovered a number of unissued firmwares in addition to those previously released. A full account of the 3view's firmware history is available under the 'Firmware overview' link on this site's home page. A number of additional channels have mysteriously appeared on users' boxes. The channels are in in the 200, 900 and 1000 ranges, with some appearing to be IP channels, and have been added without any user intervention. It would seem that some work on the 3view server is being undertaken behind the scenes but what this would mean in terms of 3view's survival is not clear as nothing has been heard from the company or its owners for some months now. After becoming inaccessible on 16 December last, the official 3view forum is now showing a blank page with a 'Disabled forum' notice asking the owner to log in to their toolbox account for more information. The rest of the 3view website is still visible though a number of videos are unavailable. Amazon are showing the 3view as out of stock from 3view CE with the comment 'We don't know when or if this item will be back in stock'. Other suppliers on Amazon continue to show stock. 3view have registered a change of name at Companies House. Formerly 3VIEW CONSUMER ELECTRONICS LTD, the company is now called VIEW CE LTD. The change of name took place today. Previously listed on Amazon as as 'available from 7 January 2012', 3view are now showing the box as 'in stock'. Click 3view Storefront to visit the page. Despite recent concerns about their status, 3view have opened a 'Storefront' on Amazon and are listing the box as available from 7 January 2012 at £145 including delivery. Click 3view Storefront to visit the page. Over the past few days various elements of the 3view operation appear to have been closed down or suspended with emails and calls to support going unanswered, and sections of the 3view website disappearing. Finally, at around midnight on 16/17 December, the 3view forum became inaccessible. Whilst the above is simply speculation at this time, and it may well prove to be erroneous, it is difficult to avoid coming to the conclusion that 3view may have ceased trading just one year to the day since it changed ownership. If that is the case, then it is something of an understatement to say it is a disappointment not only to those who purchased a 3view box, but also to those who worked so hard to make a success of a product which was 'different' and offered so much promise. As a response to the apparent demise of the official 3view forum, a new forum in support of the 3view PVR is now available at www.3viewpvr.info/forum. Anyone subscribed to the 3viewpvr.info RSS feed should resubscribe as the location has now changed. Root user access to the 3view box via telnet has been leaked, presumably from within 3view. Access such as this allows anyone with the requisite skills and knowledge to 'tinker' with the installed firmware and change the way in which the box works by adding and tweaking features. Those who are aware of the Topfield ('Toppy') PVR will know how it was transformed through the addition of firmware enhancements such as BobD's 'MyStuff'. It looks like we're in for interesting times! 3view have won the 2011 'Consumer Experience Award' at the ConnectedWorld.TV Awards in Amsterdam as well as being nominated for the 'Connected TV of the Year' award. They beat EchoStar Europe, Fusion Sheep, HDI Dune, Netgem, SnapKeys and Visual Unity in the final with the judges declaring: 'Providing the consumer with a seamless and simple system providing both choice and great quality is the key to a great consumer experience; 3view does this with a practised ease'. The award is presented 'for software, middleware or to application developers, device and infrastructure suppliers who are improving the online video experience for users', and was accepted by Ed Silvester, 3view's Technical Director. A new beta firmware, v37956.1, has been released by 3view on their Forum. The firmware addresses a YouTube issue caused by a change in the YouTube URL, as well as two of the causes of duplicate recordings. Unfortunately, a bug affecting the the series options box, seen when setting a recording, has been introduced and so 3view have a further firmware in preparation to remedy it. After details of how the 3view might be controlled over a network were published on 18 August, four users have created and released Windows, Android and Python apps to take advantage of this aspect of the box. The apps already work well and their authors seem keen to develop them further. They are available from links within the 'Remote control of 3view over IP' thread on the 3view Forum. 3view have published details on their Forum of how the box is capable of being controlled over a network rather than by the remote control. Though details were initially based on using a Mac, users have quickly interpreted them for a Windows PC. Current control options emulate remote control key presses but 'command' functionality is promised for later. A change in the YouTube URL has recently led to problems in accessing the site. 3view have announced that a fix has been devised and, along with other improvements and changes, is to be included in the next iteration of the 3view firmware. This is expected to be released next Monday, 22 August. The next beta firmware, probably available towards the middle of the month, will address the duplicate recordings issue and should also contain the long-awaited AC3 token. The token was due to have been installed on users' boxes manually but 3view found that to be too slow and labour intensive so have developed an install via the firmware. 3view are said to have a second generation box in development. Though nothing is fixed, it is likely to have a new look with an 'innovative' front panel and it would appear to be based on a different Sigma chip from the original box. While the chip is not quite so fast as the original, it is more than fast enough for the task involved and, most usefully, can handle more memory. 3view have made it clear that this work does not mean the end of development of the original box. A special half price promotion is available for the next few days at http://b3ta.com/newsletter/issue488/. Details are half way down the page, just below a (fruity) reference to Murdoch. Those of a sensitive disposition might like to be aware that the site contains some 'strong' language! 3view are working to install the AC3 token on units as quickly as they are able but, due to the number of units in use, and the complexity of working remotely at chip level, this may take a little time. To check whether or not a particular box has had the token installed, 3view have provided a test file at http://www.3view.com/universal/ (click on the link, right click on the link on the page that opens and select 'Save link as'). Once downloaded, load the file onto the 3view via a USB stick and then navigate to it (Home > My Videos > Removable Media) and 'Play' it. If the token is present, the file will play with sound, if not, it will be silent. The latest beta firmware, 36997-1, is now available from the 3view forum. 3view have revealed that the long awaited AC3 functionality on the unit is being readied for release in a beta firmware which is 'days away'. The latest firmware, 36628-4, is now available from the 3view forum. This version holds a number of significant changes including additional support options along with a serious health warning along the lines of there's no going back! Firmware 36171-2 is now available for direct download to the 3view unit, or via a link in My 3view on the 3view website. the Java database corruptions we have seen that have prevented some boxes from booting. It was determined that the corruptions resulted from users deleting duplicate programs that may have been recorded when more than one series timer was created for the same show. Please note that this fix does not address databases that have already been corrupted or the underlying but rare cause of the duplicate programs being recorded in the first place. The 3view Manual available from the My 3view page on the 3view website has been updated to version 1.3. According to a posting on the 3view Forum, 3view have signed a contract with Dolby to allow them to implement surround sound (AC3) on the box and are currently testing it. 36171-1 has been renamed 36171-2 and has been released for direct download to the 3view unit via the network. The rename is fairly insignificant as the only change between 36171-1 and -2 is a more informative message to warn unregistered users that they will lose their widgets if they accept the upgrade. As widgets are only available to registered units (they were previously hard coded into the firmware) it is essential that boxes are registered if users wish to take advantage of them. With the increased, and increasing, number of widgets, and the automatic extension of the 3view guarantee from 12 to 24 months, registration makes good sense. A new beta firmware has been made available for download through the 3view Forum. The release addresses database corruptions that had been seen and which had prevented some boxes from booting. It appears that the corruptions occurred as a result of users deleting duplicate programs that may have been recorded when more than one series timer was created for the same programme. The fix does not address databases that have already been corrupted, or the underlying reason for the duplicate programs being recorded. 3view have provided a peek into the future for the 3view box with the news that they are building a new version of the core software to take advantage of HTML5 and are to extend the box's widget and IP channel capabilities. With HTML5 available on the unit, any web pages written to that standard and containing video, will be able to be loaded directly into the player (subject to DRM and geographical restrictions). 3view see this as a more exciting and flexible option when compared with MHEG on the more 'traditional' Freeview boxes. In addition to the addition of HTML5, 3view also have a 'vision' of a free app store of dozens of widgets and IP channels, using the 3view button on the remote control, that can be loaded onto the box to suit the user's interests and to improve and extend the viewing experience. The box is already capable of presenting these and 3view have the back-end resources ready to provide them with the arrangements to do so currently being finalised. 3view have made it known that a new firmware is being built. They hope to include a fix for some database corruptions which a number of users have recently experienced. 3view are to add a football result widget to the list of those available to the box. The widget is designed to provide live results updates. 3view have been demonstrating the box at the Gadget Show. Included in the demonstration have been z-wave widgets showing how central heating, for example, could be controlled from the 3view. AC3 is a feature of the box that is much desired but has yet to be implemented. It would seem that the delay has two aspects to it: a need to provide payment to Dolby through an extremely circumspect system, and Dolby's requirement for the licence to be installed on the box using an appropriately secure method. A recall of all boxes would be possible, but extremely expensive for 3view and similarly inconvenient for users, whilst installation through a firmware update would be much easier, but has the potential for hacking and would need to be repeated in each firmware update. 3view are working to overcome these issues. A further IP channel, 903, has been added to the EPG and delivers 'Big Buck Bunny'. The animation demonstrates the 3view's superb high definition picture quality and, though rewind and fast forward are not possible, it can be paused and restarted. 3view have indicated that more IP channels will be added into the EPG in the near future. 35351-10 has been released. This latest beta version of the firmware replaces 35351-8 which had improved browser functionality at the expense of being unable to adjust sound volume on the 3view. Browser functionality is retained in 35351-10 and volume adjustment is now possible, though the on-screen graphic has been removed temporarily. Issues with Network Name and the widgets downloader have also been addressed. 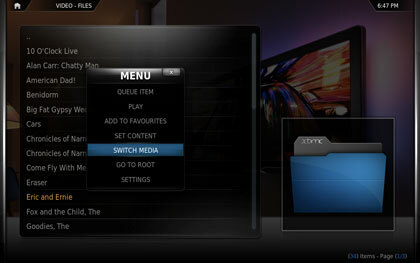 3view have announced their intention to add more IP channels to the EPG in the next few days, along with more widgets. Yesterday's 35351-6 beta firmware broke widgets in that the display was offset to one side and blank and unused entries were made visible. 35351-7 has been released to correct this error, along with another minor bug that prevented widgets from being removed cleanly. The revised firmware is available via a link on the 3view Forum. 3view have released a further beta firmware (35351-6) via the 3view Forum. This iteration contains the widget manager, a facility to allow IP channels to be added to the EPG and an option to tune channels manually. 3view will be at Gadget Show Live 2011 on stand A2 just inside the entrance to Hall 12. The show is open 13 - 17 April, between 09:00 and 18:00 each day, at the NEC, Birmingham. After a suggestion from a user, 3view have expanded their forum (http://forum.3view.com) to include a beta firmware section with links to beta firmwares. Note associated with the firmwares are included and there is provision for feedback. The usual warnings with respect to potential instabilities in betas apply! 'To make up for ignoring Facebook users for so long, we're giving away 5 discount vouchers worth £100 each. 3view have made it known that the 3view box will be back in stock in John Lewis in the coming few days. It looks as though the 'IP only' version of the 3view (3view lite?) will ship without a tuner or hard drive, but will be otherwise functionally equivalent to the full fat model. The lack of a tuner and hard drive is not so limiting as would first appear as the box will be able to display programmes recorded on the 'master' unit across a homeplug network and, by starting to record a programme on the master unit and then watching this recording once it has been under way for a few seconds, it will be possible to watch a broadcast in a 'near live' fashion. 3view are advertising an 'IP only' box in their online shop. The box is not available yet, but will cost £99 and provide an opportunity to do all that the existing box does with the exception of recording programmes. The box will be able to play recordings made on another 3view unit as well as connect to other media sources and the Internet using a homeplug network. 3view are advertising a wireless keyboard in their online shop. Not yet available, it will cost £45 and enable the web functionality of the box to be fully exploited. A new firmware has been released for evaluation prior to being made generally available. We are pleased to announce our latest version - this solves a problem that we introduced in the last version which corrupted the database over time and made the box difficult to reboot in some circumstances. My apologies to all those that were affected; we didn't pick up this in testing. In this version you will find improved performance, more user friendly widgets and a number of stability fixes. Please note that Windows Media Player 12 is not always able to reliably play recorded shows. The same shows which fail with WMP12 play fine using XBMC software. - 3View: FF and RW resume point inaccuracy. Fixed. A new firmware (34807-3) has been released for testing and intial impressions, now confirmed by 3view, are that the 'fast forward' bug in which fast forward stopped much further on in a programme than the screen would indicate, has been fixed. Details of other fixes or enhancements, other than one for a memory leak, have not been made available yet. A new firmware (34807-2) is available for direct installation onto the 3view, or from 'My 3view' on 3view's website. Details of the changes and fixes it introduces are visible when hovering over the download link in 'My 3view'. Different ways in which to archive recordings continue to be discovered and the latest instance uses XBMC. The following explanation steps through the process. 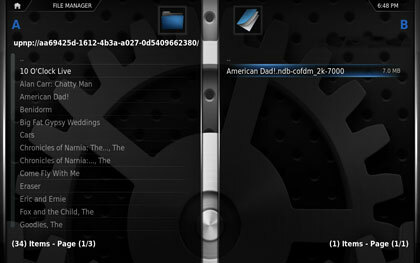 To use XBMC the 3view must first be set up as a source so, in this example, I have renamed the box from the default of 'Media Server' to 'UPSTAIRS' to differentiate it from other boxes on the network. Once the 3view has been renamed, open up XBMC and go to 'Videos'. Choose the 3view, 'UPSTAIRS', from the list. Select the folder to share. In this case, the video folder that contains two folders viewed by name or by date. Click on 'OK' to create a source for this folder. To keep the name press OK and a new source will be created under 'Videos', which allows access straight into the 3view's video folder to browse recorded programmes. Now that a source has been defined, files may be copied to a local hard drive. Please note: in the absence of a modifier key, Mac users will need to attach a windows Mouse as they will need to be able to right click. The next step is to browse the source, right click on the list of recordings and then choose 'SWITCH MEDIA'. A list of recordings will be displayed on the left of the screen and the local hard drive(s) will be shown on the right. Select a location into which the copy should be placed. Right click on the recording you wish to copy to complete the process. Since the discovery of the 'PS3' method of transferring recordings from the 3view, reported here on 9 January, two alternatives have been discovered. 'larkim' on DigitalSpy has developed some html code, originally found on dynamicdrive.com, which semi-automates the process once Window Media Player has been used to discover the location of the file on the 3view (see the news entry for 12 October 2010 for details of how to do this). Use the code below to create a file, save it to a convenient location on your computer or as a bookmark in your browser, run the file, copy the link obtained from Windows Media Player into the box and click on the 'Create link' button. A further method, described by 'teaman51' on DigitalSpy, involves the use of the developer tools at http://opentools.homeip.net/dev-tools-for-upnp on a Windows 7 computer. Once the tools are installed, AV Media Controller should be run to find 'HOST: Media Renderer' under 'Content Directories'. Once 'HOST: Media Renderer' has been located, expand the tree, right click the recording's name and select "Display Properties". Finally, select 'Resource #1', right click "ContentUri" and select "Copy". Please use the above responsibly and with care. And well done 'larkim' and 'teaman51'! Not strictly 3view related, except I read it using the News Reader widget and the 3view is a high definition box, but Formula One Management has announced that 'all broadcasters will receive an HD feed for 2011'. This will commence with the Bahrain GP in March and will include 'all practice sessions and support events'. 3view engineers in California have been able to log into a user's unit that was repeatedly failing to re-boot and have successfully reconfigured it and restored it to good health. It was thought that the ability to transfer recordings to and from the 3view had been removed as a consequence of some licensing conditions but a loophole involving the PS3 has been revealed on Digital Spy. The method is to navigate to the 3view from the Play Station's video menu, select a recording, press the triangle button on the PS3, and then select copy. This copies the file to the PS3's hard drive from where it can be transferred to a USB stick and then onto the hard drive in a desktop machine or laptop. As I don't have a PS3 I have been unable to confirm that the method works and that there are no unfortunate consequences so, please, proceed with caution. The latest firmware (34275-1) introduced major changes into the way the 3view organises data. Unfortunately, it would appear that the transition has produced some corruption in some units that has led to them freezing or failing to respond to the remote control. 3view are aware of this and have indicated they are working on the problem. 3view have also made it known that, with appropriate information from the unit's owner, they are able to access it remotely and may be able to reconfigure the corrupted data. For this reason, it is recommended that any problems are raised with 3view through the 'My 3view' page at www.3view.com before any drastic measures such as re-formatting the hard drive are considered. The firmware (34275-1) released to a number of users last week has now been made generally available direct to the 3view box, or by download from the My 3view page on 3view's website. It holds a fix for the Winter Hill problem and one affecting YouTube after YouTube made some unannounced changes to their servers. Some of you may have noticed that You tube stopped working last week. This was due to a change in their servers that was not announced to us. We have made the required changes and this can be downloaded now. We have also (at last) got to the bottom of the Winter hill problem. I am really sorry it took us so long, and that few of our Manchester users could see HD. We got there in the end! Thanks very much for your support and faith in us, while we worked that out. We can get on with looking at some more fun stuff now. Please download the new version from Settings > System > software update > network update. It can also be downloaded from 3view.com. I hope you all have a very happy Christmas, and we look forward to building on the work that we have done in 2010 and making 2011 a great year for watching telly! 3view have sent me a new firmware dated 17 December. It includes the Winter Hill fix (I can't check it out as I'm on Emley Moor) and it also prevents the loss of changes to the channel mapping when an erase and scan is undertaken. 3view are confident that they have got to the bottom of the Winter Hill problem. A software update has been found to be effective by a number of users on the Winter Hill transmitter and it is due to be released to beta testers for final checking in the very near future, possibly the next two days. Once the fix has been confirmed it will be released to all users. I understand that finding the source of the problem was time consuming and took some intensive detective work. It was eventually discovered in just two small areas of code which, though weeks in the finding, were fixed within a couple of days. Now that the box has BBC iPlayer, John Lewis have taken up their option to stock the 3view. Their sales are already into four figures and they have repeatedly sold out with 3view sending fresh stock on a regular basis. The box is on sale on the John Lewis site (product code 85818170), and being displayed and demonstrated, in their flagship Oxford Street store. It is also available in their other branches including Kingston and Bluewater. Recent tales of 3view's demise are untrue: the 3view they refer to is 'another' 3view. Having spoken to a very upbeat John Donovan about another matter yesterday, the stories which appeared today seemed to be quite incredible and he has confirmed them to be so to me today. It's to be regretted that individuals post stories and contribute to rumours which can do a company significant damage without checking their 'facts' first. BBC One HD starts on Wednesday, 3 November at 7pm on channel 50 when BBC HD will transfer to channel 54. The introduction of the new channel means that series recording settings for programmes that are being moved to it from the existing BBC HD channel will not work after that time unless they have been deleted from the BBC HD schedule and reset against BBC One HD. A new firmware has been released and it enables iPlayer. It's available direct to the 3view, or from My 3view on 3view's website. The changes to the BBC's HD channels have now been confirmed with BBC1 HD to take over channel 50 and BBC HD to move to channel 54. The changes will take place on 3 November. Full details in the BBC Press Release. The BBC signed off iPlayer for 3view over a week ago now, but 3view are having to wait for the them to alter their servers to allow connections from 3view boxes. The very latest firmware (not yet publicly available) is iPlayer capable and, though not yet able to be used in anger, it is still able to hint at some of its capabilities. It looks as though BBC1 HD is due to launch on Freesat on 3 November. It would seem sensible if it was to launch on Freeview at the same time. Nothing is confirmed as yet. After brief exploration, yesterday's firmware (33323-3_201010131047) has a few more changes than were immediately obvious. An updated firmware (33323-3_201010131047) is available direct to the 3view box at 'System Update', or by download from 'My 3view' on the 3view website. Don't forget to reset your location and 'Daylight Saving' preferences if you have altered them to deal with the 'Daylight Saving' issue in the previous firmware. Previous attempts to watch 3view recordings on my Windows 7 computer across my network using Windows Media Player have been seriously easy but only standard definition recordings played back with sound. After a little fiddling with VLC Media Player v1.1.4 I've found it's possible to view high definition recordings with their sound. VLC Media Player cannot 'see' the 3view box across the network but the path can be found by running Windows Media Player, locating the programme to be viewed, right clicking on it and then clicking on 'Properties'. At the bottom of the 'Properties' window is 'Location' with the full 'route' to the file. Dragging across this, copying it and then pasting it into 'Media' > 'Open Network Stream' enables VLC to find and play the recording, though it may be necessary then to right click in VLC, go to 'Audio' and then 'Audio Track', click on 'Disable' and then repeat to click on 'Track 1 - [English]'. Simples! Well not quite, but it works! And later... pause VLC, run Windows Media Player and HD programmes will play back in WMP with sound. Quit VLC and WMP continues with sound. If WMP is already running when VLC is loaded, the HD sound will not play in WMP. It would appear that VLC is loading the required CODEC. All of this also applies to Windows XP installations but I have been unable to find a way to ascertain the location of the 3view recordings from the XP computer. The only way to date is to use the Windows 7 computer and then export the location via a text file. I have DVBViewer installed on my computer. Recordings of BBC HD programmes (.ts filetype) made with DVBViewer play on the 3view across the network without any issues. The latest firmware, not yet available from either of 3view's publicly available feeds, includes a fix for the Daylight Saving glitch and a number of other issues, along with some changes in functionality. Enhancements to series recording are expected in the next. A fix for the 'Winter Hill Problem' has been produced but it was felt that it could be improved. The latest version is currently under test. Unfortunately, the expected fix for the Daylight Saving Time issue didn't materialise as expected. However, it's said to be included in a firmware update which is due in the next few days. With the '3View HD-PVR - Owners Thread' on Digital Spy currently standing at 74 pages and over 1800 posts, a new '3view' forum has been created to improve accessibility. Click here to view it. 3view have said that a fix should be available tomorrow, 4 October. Until then, they have suggested using the work-around described below. There is an error in the current firmware, linked to the ending of British Summer Time (BST), which will change the 3view's clock at 02:00 on Sunday 3 October rather than on 31 October. To work round this, wait until all recordings on 2 October have been made and then go into 'setup' > 'System' > 'Clock' > 'Time Zone' and change the time zone to '(GMT + 1:00)'. Then go back a step and go into 'Daylight Saving Time' and press 'ok' on 'Use Daylight Saving Time' to turn the button black. Once an amended firmware has been released and installed, don't forget to reset 'Time Zone' and 'Daylight Saving Time'. Calculator and BBC RSS widgets are working in firmware 33170-1. Press the red button to access them and 'exit' to finish. 3view have updated the FAQ pages on their website. 'Here is a quick update with regard to some issues with 3view. Settings > System > Software Upgrades > Network upgrade. The EPG is unscrambled as it is downloaded, so existing gobbledegook is unaffected. Please do an erase and scan for an instant fix or just wait for the data to expire. Please note, erasing may affect programme timers that you have set, so check and make sure that your timers are OK. Should there be a problem, please reboot your box. We recommend this build for all users. The latest firmware, date-stamped 24 September at 17:58, has a couple of quite noticeable changes: the screen-shape option is back to offer a choice of 4:3 or 16:9, and the over-the-web (OTW) EPG source has been removed. Presumably, 3view are concentrating on the over-the-air (OTA) EPG now that the Huffman tables are embedded in the firmware to deal with the encryption that had previously been the source of issues on the 3view and other units such as the Humax. The firmware is available direct to the box in 'Network Update' or from 'My 3view' on 3view's website. Shoutcast Radio is now available under the My Music button. Press 'home' and then 'My Music' before moving down the list beyond the the bottom-most visible entry. The latest firmware, not yet publicly available, has the Huffman tables installed to allow decoding of the encrypted EPG. As a consequence, the recent EPG corruption is history. Other changes are also included and have made the box much more stable. The 3view has been designed with unusually sensitive tuners. Whilst this is an advantage in areas where the signal strength is lower than usual, it appears to be causing problems in areas such as those served by the Winter Hill transmitter where signal strength is significantly higher than expected. 3view engineers have had some success in using attenuators to reduce the strength of the signal when it reaches the RF input but Sony and MaxLinear are working to implement automatic gain control (AGC) in a software fix which should be available in the near future. Sort of relevant, but, in an interview on BBC's 'F1 Forum' broadcast, Bernie Ecclestone has said that F1 will 'probably' be broadcast in HD next season. Playing about with the boxes earlier I decided to give the network connection between them a try and it was very rewarding: I was able to watch a recording made on one box on the other! Each unit has its own network name, '3view T' and '3view B' (that's T as in 'Top' and B as in 'Bottom': they're located one on top of the other for the moment and I believe in originality when it comes to naming things), and when you go into 'home', 'My Videos' and 'Entire Network' they're listed at the top with the other devices, desktop, laptop and server, listed below. Playback went without incident with superb HD and SD picture quality with the only downside being a little reluctance to fast forward at anything other than 3x in HD. Words used in the creation of wishlists were previously restricted to those found in the EPG but it would appear that this restriction has been lifted in the latest firmware. It's now possible to enter words on which to search in the usual way and, unlike previously, if they are not found in the EPG they can still be selected by arrowing right and then pressing 'ok' when they are highlighted. A soft 'Opera Keyboard' is now available in the 'web' screen by pressing 'sub'. Unfortunately, the default focus on the screen is currently on the 'Go' button rather than the URL field. With the keyboard visible, pressing 'info' repeatedly cycles through the standard 'upper case', 'lower case' and 'numeric/punctuation' iterations with two additional versions holding accented characters and the £ and  symbols. Now that 3view have shipped a significant number of their PVRs (I think 700 was mentioned), there would seem to be two fairly distinct sets of experiences emerging along with a whole raft of conspiracy theories and rumours. For those reasons, and to try to get a feeling for where we are with the box, I rang 3view and asked if John Donovan, their MD, could provide me with some kind of insight. The 'phone call wasn't long in coming and it turned out to be a very straight forward and very frank conversation with information being offered freely and no question being ducked. 3view have a contract with the BBC to use the Huffman tables which are needed to decode the EPG. The BBC are currently trialling the encrypted EPG and this means that, from time-to-time some corruption can occur in the 3view EPG. This is being actively worked upon and 3view believe they have a fix. iPlayer is finished and awaiting the BBC's approval. 3view are pushing for early certification and I got the impression there's quite a lot of frustration with the wait. I understand that the BBC are working to reduce the number of different versions of iPlayer from a number north of 30, to around just 4, and this 3view version, which had to undergo serious revision when the BBC changed from a Windows Media environment to H.264, will be one of that reduced number. Unlike some, it isn't a 'big screen' implementation but will be the very first high definition version of iPlayer to be made available. Versions using a web browser approach will quite likely fail in the future. One consequence of the delay in iPlayer going 'live' is the delay in John Lewis taking orders. They want to wait until iPlayer is available to ensure that their customers are not misled. 3view have a three year contract in place with Sky for Sky Player and Sky Player should be activated within around six weeks. The 'Winter Hill problem' seems to be connected with the high signal strength from that particular transmitter and tests on boxes installed in homes in the Winter Hill transmission area have shown that attenuators can be effective. On that basis, 3view customers with these problems will be offered attenuators free of charge. Equally, RF cable quality seems to be an issue with some installations so 3view have put in an order for 2000 cables and will include one in the box. They will also offer a free RF cable to existing customers. This problem with higher than normal signal strength went unnoticed because current official testing regimes test only for low signal strength and not high. MaxLinear, the manufacturer of the tuner used in the 3view unit, are looking at a software fix for the problem: the hardware is not expected to need any changes. Despite assertions to the contrary elsewhere, Sony hardware is present in the unit. The demodulators are from Sony, the tuners are from MaxLinear. In fact Sony recommended the use of the MaxLinear product. 3view are working hard to improve their call centre to ensure that calls are answered quickly and customers are given accurate information. Finally, John Donovan said they hadn't got off to the best start and that they may well have been over ambitious in announcing so many of the features they expected to include in the box. He thought that it might possibly have been better to have announced the core capabilities and then announced the additional ones as they came on stream. It's my understanding that iPlayer is no longer work in progress, but that it's finished and waiting to be switched on. My research leads me to believe that the original specification was changed from a Windows Media environment to H.264 which meant a huge re-write for 3view and a number of knock-on effects. I'm sure this work must have been finished some time ago as I've certainly used iPlayer on the PVR when I was able to browse the recent additions in the main pane as they changed from day-to-day. Unfortunately, when I went to play any of them I could only get the Top Gear demo. Presumably this was hard wired in to prevent 'unauthorised' access. This eventually stopped and the present 'Coming soon' banner appeared on the scene. I'm confident that the box was passed to the BBC for compliance testing some time ago but, until the BBC get back to them with the go-ahead, 3view can't enable iPlayer. It's been found that if the PVR is connected using SCART it can become unstable. 3view are aware of the issue and are working on it. Anyone experiencing the problem may wish to make 3view aware. The 3view is now shown as 'in stock' at Play.com. Search under 3view. The page accessed by the 'web' button is working again. Although working some weeks ago, the page suddenly, for no apparent reason, became inactive. Today, again for no apparent reason, it's active again and it's possible, though somewhat slow and jerky, to browse the web. 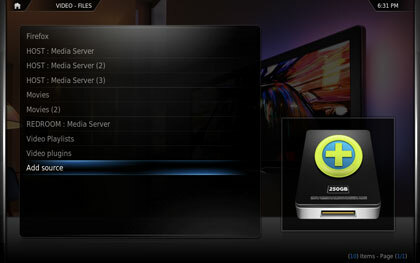 New firmwares are usually available from over the network direct to the PVR and accessed through the 'setup' button. However, they are now available though the 'My 3view' link on 3view's website. An account needs to have been set up and the unit registered. A new firmware, timestamped at 17:15 on 9 September, has been released. Initially for installation by USB flash drive, it was later made available for direct installation on the PVR. 3view have said that the primary reason for the firmware's release was to solve the 'No signal' issues which had led to units having to be rebooted sometimes if channels were changed while recordings were under way. First impressions are that the problem has been solved. I've been away for a couple of days and had left both boxes set to get the EPG OTW. I've just checked them and they're (almost fully) populated until the early hours of Thursday 23 September: 12 days time. Unfortunately, I had installed the latest firmware when I got back home and before I checked the EPG, so I'm not sure when this behaviour was introduced. iPlayer has still not been activated in the latest firmware. However, users who have spoken to 3view have confirmed previous reports that it has been completed, but that the BBC have not yet given the go-ahead for its activation as they have still to fully check it over. For those who are eagerly waiting to watch HD from the BBC on catch-up, the wait is quite frustrating. It would appear that there have been changes in the layout of the components inside the 3view's case. While tidying my own Spaghetti Junction of cables behind my pre-production and production boxes (not too tidy, as recommended by my old Physics lecturer) I noticed that the view through the left-hand cooling slots was not quite the same in each instance as, unlike the older unit, the newer one had the hard drive visible. I've resisted the temptation to pop the case and lose my two year guarantee so I've no idea if anything else has changed! There have been a number of reports of HD channels failing to display despite being recognised by the PVR and listed in the EPG. 3view have been investigating the issue with some urgency (they have even visited one user's home to check his installation) and seem to have come to the preliminary conclusion that the unit's extra sensitive tuners may be picking up external interference if aerial cables are not adequately screened or the connections are insufficiently sound. I decided it would be easier to access my hints and tips if they were gathered onto one page so, if you are looking for them, you need to go to the dedicated 'Hints and Tips' page here. Two new firmwares were available yesterday, one over the network direct to the box, the other from a URL provided by 3view and installed via USB stick. Then, today, another became available on both systems. Quite clearly, there's a lot going on in the background. There are a few immediately obvious differences: the LEDs shine through the bottom left hand edge of the front panel to indicate activity, the originally specified external power supply is now present, the model number has been changed to '3viewHDMk1', the rocker on the front panel feels 'clickier', the green LED glows while the box is 'on', the yellow LED flashes when the box detects a key press on the remote, the feet are of a slightly different design and the logo is larger and lighter with a slightly different layout. The User Manual will be published online rather than in hard copy. It is said to be nearing completion. My production box arrived today (thanks, DHL, only two days late: the guy delivering it has boxes dropped off for him at his home by DHL and he takes them out from there, but he doesn't work Saturdays!!!). I've installed the box in exactly the same place as my pre-production box and have re-used the same connections. The box installed perfectly (I'm almost hating saying this having read reports of others having problems) and it picked up 99 channels with no issues. The HD channels were first to be found. I immediately installed the firmware available through the network connection and then the box started to slowly populate the EPG with what amounted to Now & Next on the HD channels at the time of installation corrupted. After a couple of hours they seem to be fine. So far, I've done nothing more than that and the box has been fine. I've not yet tried to find the 'No signal' issue as I want a fully populated EPG first to ensure there are no gotchas from that direction. Oh, and sad as I am, I love the way the LEDs glow through the bottom left hand corner of the case. Neat! More when I've more to tell. I had previously understood, but was unable to confirm, that the reason for the delays in the release of the 3view PVR was down to a shortage of components (Sony DVB-T2 tuners, I believe). So it was good to see that yesterday's Sunday Times provided the confirmation I was looking for when it carried an article describing how John Donovan, 3view's MD, collected a significant number of boxes from the Flextronics factory in Hungary and drove them back to Britain. After some confusion late yesterday, when there was some doubt expressed as to whether or not DHL, the courier company used by 3view, actually delivered on Saturdays, it has emerged that boxes have arrived with customers. Unfortunately, not all deliveries, including my own, were made. Of the boxes that actually made it to their new homes, it would appear that there have been problems with some of them having difficulty in completing channel scans at the first attempt with a number of them failing to find the HD channels. It's unclear as to whether this is a consequence of inadequate aerial installations or an issue with the box itself. In my own case the (pre-production) unit had no problems at all in finding all of the channels on the Emley Moor transmitter which was, and is still, operating at reduced power. There are also reports of some corruption in the EPG which I too have found and have reported to 3view. The corruption seems to be uneven with some days and channels being relatively unaffected and others quite problematic. There are suspicions that the corruption may be connected with recent changes in the format of the EPG but these have yet to be confirmed. There may be occasions when the box needs to be restarted to a greater or lesser extent and 3view have included a number of options. However, the first thing to do would be a simple reboot: turn off at the wall, wait a couple of minutes, turn back on. If that doesn't solve the problem then, to get to the full list of restart options, press 'setup' and go to 'System'. Go right down the list and keep going (the last entry is off the bottom) until you get to 'System Reset' where there's a number of self explanatory options. If you want a complete reset, and I accept no responsibility if you decide to go here, you can hold in the standby button on the front panel in while you switch the box on. This takes you to the 'Maintenance Menu' from where you can download a new firmware and restart the box completely. Please NOTE: if you are expecting home plugs, they will be delivered to you separately. You will receive a separate notification email when they are cleared for shipping. You will receive a separate notification email when the items you ordered are dispatched. If you have any questions about the delivery or if you need to change your shipping details, please call us on xxxx'. This is slightly later than I was led to believe earlier in the week, but I understand from direct contact with 3view that my delivery will take place tomorrow, Saturday. 3view received the first significant batch of the 3VHD earlier this week and are now shipping them to customers overnight to arrive before the weekend. Reports of credit cards being charged would appear to confirm this welcome news as does an email telling me that I should expect a delivery from 3view tomorrow. Sky Player live and working? Go to the 3view home page, click on the 'Inside 3view' link, and once you get past the advert (I've seen Brita water filters and Disneyland Paris so far) a video about recordings starts. Early in the video the box's output shows a car in the picture-in-picture with 'Sky' in the caption underneath the p-i-p. Either this has been mocked up, or the functionality is there but not yet enabled in the distributed firmware. The front panel is quite bare in comparison with a lot of other PVRs with just an LED window, a Standby button and a four way rocker with a central 'OK' button. Pressing the OK button is equivalent to pressing 'info' on the remote and brings up the EPG for the current channel. Using the rocker you can move up and down the channels and backwards and forwards in time. Pressing OK on a programme pops up the 'Program Options' menu (I'm sure it should be 'Programme Options' unless 3view are using 'Program' in the sense that you are programming the options). This offers 'Record Episode', Record Series', 'View Upcoming', 'Manual Record' and 'Don't Do Anything'. The display will eventually time-out if none of the options is selected. 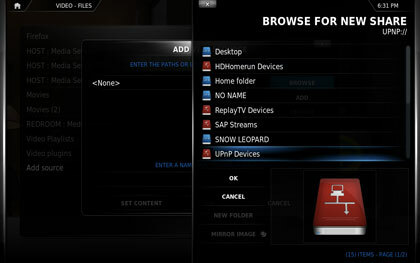 Using the 'pvr' button takes you into the Recordings screen from where you can set up a search or a wishlist. 'Search' is used to search the entire current EPG for programmes with a particular name but a little care must be taken as, for a programme such as 'Top Gear', the search must start with the first word in the title, is 'Top': it's no good searching for 'Gear'. Wishlists, on the other hand can have the search keywords in any order. Using these methods is easy and you are offered a whole host of options with which to control subsequent recordings. However, an even easier and quicker way to set a recording is to press 'guide' to display the EPG, find the programme and then press 'record' on it once to record just that one programme and twice to record an entire series. The appropriate markers, one green tick for a single recording, two for a series, appear in the EPG immediately and the process is completed very quickly with the default recording parameters applied. Not everything here is likely to be new (nor is it in any sensible order!). There are almost certainly some items that I have simply not stumbled across or needed before. The new remote now has a dedicated mute button and volume can be raised and lowered using the left and right arrow buttons. The subtitle button on the remote cycles through 'Sub On', 'Sub On if Muted' and 'Sub Off'. The direct link to Google via the '3view' button has stopped working. The address bar accessed through the 'web' button is inactive. Moving around the BBC, ITV, Channel 4, Channel 5 and Sky pages that are coded to the '3view' button and then accessing further content through links on those pages is possible by using the rewind and fast forward buttons to move left and right through links, and the P-up and P-down buttons to move up and down through the links. Pressing 'ok' activates the link. Scrolling up and down the page is achieved by using the large up and down arrow buttons, with the left and right buttons scrolling the page left and right. Entering text does, of course, require a keyboard. Having pressed 'ok' on a link and moved to the relevant page, pressing 'back' takes you back to the previous page. The latest firmware, previously available from both the network option and by download to a USB flash drive is now only available by download to a flash drive. Pressing 'record' while viewing a live programme pops up the message 'Recording: [programme name]' and the programme, along with whatever part of it is in the buffer, is recorded. Pressing 'ok' while viewing a programme pops up a screen equivalent to pressing the 'info' button. Pressing 'ok' again pops up the 'Program Options' menu: Play, Record Episode, Record Series, View Upcoming and Manual Record. An updated firmware has become available over the network, direct to the box so, impatient as I am, I decided to load it rather than wait for the test firmware I was expecting to become available via email. After a very brief check, there appears to be further functionality available with, for example, scrolling up and down web pages through the use of the up and down arrow keys now being possible. I had previously personalised the BBC home page with my postcode and this personalisation has now 'survived' two or three firmware upgrades. I have received an email inviting me to download a firmware update which was released earlier today. The email offered a choice of either using the usual network route, or downloading the file from a URL provided by 3view and then transferring it to the box using the flash drive which 3view recently provided. I thought it would be more useful if I used the flash drive route. The 224MB file downloaded quickly and took no longer than normal to be installed on the PVR. The only difficulty was in finding the USB port on the rear panel and inserting the flash drive. There are two ports, both located below the Ethernet connection, and the lower one was occupied by my Rii mini keyboard wireless dongle which left space a little tight for the slightly thicker 3view drive. Moving the Rii dongle into the upper slot solved the problem. News on any additional functionality or changes later. At this very moment (or some time in the recent past)!!! More than that I don't know (except one of them had my name on it and I've asked for it to be made available to someone else and I'll wait until the second delivery). I reported a minor inconsistency in one of the menus to 3view yesterday and it seems it was linked with the mapping of the keys on my old-style remote so 3view are sending me one of the new-style remotes just to be sure I don't come across anything like it again and, while on the subject of remote controls, I've only just found that as well as adding volume control to the left and right arrow keys, the 'audio' button now mutes the sound on the box. It would appear that development continues apace in quite a few areas, especially as I have been reminded that I should now look for emailed updates to the firmware rather than any available through the box's network option. My comment yesterday about pressing 'OK' (and I only emailed 3view about it at lunchtime) is now redundant as pressing 'OK' now produces the same display in the same position as pressing 'info'. iPlayer is now much, much faster to load and has a 'coming soon' message under the main frame. The rest of it has lost functionality so I presume it's pretty much finished but locked out for now. The rest of the page which takes you to iPlayer has changed dramatically with new HD icons for iPlayer, YouTube, Sky Player, 3view and Google, and there are new launch icons for the BBC, ITV, Channel 4, Channel 5 and Sky websites (complete with a throbber to let you know something's happening. The links take you to http://www.bbc.co.uk/, http://www.itv.com/, http://www.channel4.com/, http://www.five.tv/ and http://tv.sky.com/ from where the respective sites may be browsed. A new, and welcome, addition within the browser window is a scroll bar on the side to allow you to move down the page by dragging or clicking on the scroll arrows. Widget access, though none are yet available, is now under the red button rather than the blue as before. I had previously tried to load photographs onto the box and view them but had had mixed success with some of them appearing under the wrong date and others not appearing at all. This may well have been 'operator error' rather than an issue with the box. However, flush with almost 1000 unsorted photographs from a recent trip I decided to give it another try in an attempt to bore my visiting daughter and granddaughter! And it worked: both slideshow and attempt to bore! I was able to navigate easily to my network server and then guess(!) which of the server entries I needed. The menu to allow me to download the photographs was clear and the download (~4.5GB) was complete in a surprisingly quick time. A further menu option allowed me to give the set of photos a name and treat it as a slideshow. Viewing the slideshow was straightforward with the images advancing at a rate I had set in the menu, or whenever I pressed the right arrow button. The large images (3648 x 2736 pixels - I said I hadn't sorted them: they were straight out of the camera) were displayed with great clarity and the manually initiated move from one to the next was reasonably quick considering their size. I must say that, although it needed a second press of the arrow button a few times, I was impressed with the overall performance of this aspect of the box. The latest firmware is dated 13 August and there are a few changes in the way the box works which are immediately apparent. Others, I understand, are buried within the code and will not be so obvious. The left and right arrow keys now change the volume. The 'OK' key displays information on the current programme. This is similar in effect to pressing the 'info' button but it doesn't offer the one channel view of the EPG. It's also across the middle of the screen rather than at the bottom where, I think, it would be better placed. Pressing 'web' now displays an address bar into which URLs may be entered. I've used this with my Rii Mini keyboard and, while it works, there are a couple of issues. The top of the window extends a little above the top of the screen and none of Opera's navigation buttons are available. The browser is still a little clunky but a throbber has been implemented so you can be assured that something is happening. Access to YouTube, iPlayer, Sky Player, 3view and Google has been moved onto an option under the 'home' button. Widgets are still not available and pressing the blue button now tells you that. There is a new option within the setup menu to load them when they do arrive. Until now, I've been upgrading firmware through the 'Network' option in 'Setup' but 3view have sent me a (very stylish) 2GB USB stick with which to do it in the future. They've said they'll email me with a URL from which to download the file to transfer onto the stick and then onto the box. I see this as positive in that they have said that the network option I've previously used will only hold fully tested and approved firmwares from now on (presumably for everyone to use once the boxes are delivered - not long to wait now!) and that they want me to check out the USB method. Whilst production of 3view boxes has begun, units are only shipping in limited numbers for the first two to three weeks of August due to minor quality issues that have now been resolved. John Lewis will be receiving supplies at their central store in small numbers over the next week, with the volume of units increasing significantly over the next three week period. An additional limited number of boxes are now available at 3view’s own distribution centre and will begin to be released shortly. Obviously the shortfall means that not everyone will be able to receive their 3view immediately, but stock will increase sharply over the next few weeks. Whilst this slow-start to shipping means people may have to wait just a little bit longer than forecast, we are confident supply and demand will be matched in the coming weeks. We apologise to those who have not yet received their 3view box, but I would like to assure everyone we are doing our utmost to keep up with demand. John Donovan, Managing Director, 3view. Another firmware update was available for download yesterday evening. The update process is simple: just go to the relevant entry in the 'settings' screen, choose the latest release (previous releases are often still available) and then choose to download. The download, which seems to be around 0.4GB, takes a while with a display showing progress overlaid on top of the current broadcast. Once downloaded, the broadcast is no longer available as the file is checked and then eventually installed before the box re-boots. It all happens automatically with no need for any user intervention. I haven't yet been able to undertake a thorough check to see what has been changed in the latest iteration but it is good to see that work continues and that updates are being made available regularly. New firmwares have become available over the past few days. A number on Friday 23rd, one on Saturday 24th, and another one today. 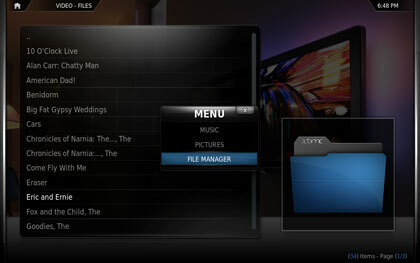 A number of changes are immediately apparent: pressing the down arrow key at the bottom of a list in some menus now takes you to the top entry, and vice versa; and there is now an entry in the 'setup' menu for managing widgets, though at the moment none are available despite some being pre-loaded in previous firmwares. A further entry in the 'setup' menu allows OTA (over-the-air) EPG updates to be turned off. Exploring the PVR Event Viewer option after pressing the 'pvr' button (oh, how I dislike all lower case labelling), I have discovered that a whole wealth of information is available by pressing the 'info' button. The first set of information is labelled 'Recordings' and, as you work your way through the list of recordings, each is labelled as either 'Record' or 'Do not record'. A press of the 'info' button changes the listing to 'Deletions' and recordings are listed as either 'Delete', which shows the date on which the box will automatically delete the recording if it is not marked for keeping, or 'User trash', which indicates that the user has placed it in Trash for later automatic deletion. The last option is 'Unexpected events' which, as expected, lists events that the box did not plan for. Events listed here include 'Can't record (conflicts), 'Stop recording early', 'Recorded (late start)' and 'Delete before planned'. I'm not sure what the last entry means but it was against all future recording reservations so perhaps it was to indicate recordings that were set by the box but which the user had cancelled. I have had no need to view anything in slow motion but, while playing around with the box, I have discovered that is available by pressing 'Pause' and then 'fwd'. Speeds of 1/16. 1/8, 1/4 and 1/2 are set as 'fwd' is pressed repeatedly. Pressing 'rwd' moves through the options in the reverse direction. Slow motion in reverse play is not available. Using a Rii Mini keyboard I have been able to log into my webmail at Plusnet, read it and compose an send a new message. One of the emails I had waiting for me was a notification of a posting on Digital Spy which contained a link to DS. Clicking on the link loaded the page where I was able to read the post and respond to it. The Rii touchpad is a little difficult to control at times but, overall, the unit is easy to use, while the 3view box can take a little time to build the page. Not having Adblock running on the installed Opera browser didn't, of course, help. Overall, the whole experience was a little clunky but it works and may save having to leave the armchair from time-to-time! A 'remote record' function is being investigated by 3view and will be available in a future update. TVGenius are said to be involved in the development. The 3view box is capable of displaying media from the local network but the reverse is also true. To check this out, and demonstrate its flexibility I have been able to have a recording of 'Newsnight' playing off the box on my TV, a recording of 'Mary Queen of Shops' playing off the box over my homeplug network to my Windows 7 desktop using Windows Media Player and a recording of 'Question Time' off the box using the homeplug network to my router and then wi-fi to Boxee on my netbook all at the same time. A new firmware is available and I have been able to download and install it. News on any changes or enhancements as soon as they become apparent. Meanwhile, news on availability. John Lewis have confirmed that they will, as previously reported, have the box on sale at the end of July and, in a slightly puzzling development, a seller on Ebay claims to have in excess of 10 units available for purchase at a premium of £50 with a 'due for release' date of 14 July despite 3view showing a release date of 30 July. A couple of new firmwares are available for upload across the network. As each is 'standalone' it's only necessary to install the newest rather than do it incrementally. There are no obvious changes other than the Amazon.com link to Google now says Google, and the on-screen 'box in standby' message has been removed. A little disconcerting on the pre-production boxes with invisible LEDs, but it shouldn't be a problem on the production boxes. Oh, and iPlayer. A little more functionality has appeared. Programmes recently made available are visible (Jonathan Ross and Glastonbury, for example) but selecting them takes you to the Top Gear broadcast previously used by 3view. I'm told that full functionality is 'very, very close' and that this is 'widget week' for the developers with work being undertaken on iPlayer and the Opera widgets with, possibly, more than one update to be made available. A problem with changes to broadcast schedules for the World Cup and Formula 1 came to light over the weekend when the box didn't pick them up. 3view are aware and are working on a fix to increase the frequency with which the EPG is refreshed. Other minor bugs and areas for improvement are still coming to light and I've had more positive and encouraging feedback in response to my reports. Play a recording and press 'Info' to display the programme details and a timeline showing how far into the recording you are (unfortunately, the layout is a little extravagant in terms of how much of the screen it occupies). Press 'Info' again and the current 90 minute section of the EPG for the channel the programme was recorded on is displayed. In relation to the lack of an address bar when using Opera, 3view say that they will have a 'launch page' on the production boxes into which URLs can be typed. The production units will have three LEDs on the front (apparently, the pre-production boxes have these but, as previously reported, a mistake in the moulding at the original factory rendered them invisible). The LEDs will be red, green and yellow in colour and will indicate that, amongst other functions, the box is booting up, the box is on, a keypress on the remote control is being received and recordings are under way. I asked that the 'Audio only' notice which appears when listening to radio channels be moved around the screen to avoid burn-in. I have been assured that it does but, after checking, this does not appear to be a feature of the firmware to which I currently have access. I suggested that searches for programmes unable to be recorded due to clashes should try to find alternatives well into the future as a 'must'. The response was 'Agreed'. Going into 'PVR' followed by 'PVR Event Viewer' and then pressing 'Info' repeatedly cycles through a number of screens: 'All Events', 'Recordings', 'Deletions' and 'Unexpected Events'. The latter offers descriptions such as 'Delete before planned', 'Stop recording early', 'Record (late start)' and 'Can't record (conflict)'. All of these referenced events instigated by myself. I asked if 'record two, watch a third live' might be implemented. I was told that the box is capable of doing this and that it was one of the most requested features. I got the impression it may be implemented in the future. I asked whether or not picture-in-picture might be possible. It is, the hardware is there, but only a commitment to 'look at it one day' was given. Pressing 'Info' within the 'Guide' view cycles through listing by channel number, listing by channel name and listing by favourites. Moving out of 'Guide' and back in does not return to the last selected view. I have also had a lot of positive responses to my suggestions for changes/improvements to the user interface which are too detailed to list here but which give me continuing confidence in 3view and their willingness to listen to feedback and develop the box. I have bought a 'Rii Mini' USB wireless keyboard to use with the Opera browser installed on the box and it works! Just plug the dongle into one of the two USB ports, go to Opera on the box's 'Web' button and type away. Unfortunately, and it has got to be because there are unfinished corners of the box, there is no address bar into which URLs may be entered! Luckily, by using Google to search for pages, there is a roundabout way to browse the web. Ironically, 3view's web pages use Flash and Flash isn't implemented on the box. I understand that this will change and the 3view pages will be converted to HTML5 which Opera understands and which obviates the need for Flash. When using the browser, the screen is practically filled and sound is absent. The latest firmware upgrade allowed us to register our boxes with 3view over the web and to test to see if remote registration of live streamed HD was working and whether it would update automatically. It was, and it did. Channels 901 - 906 became available on the box and integrated into the EPG within a few minutes with 901 showing Home Shopping Network, 902 Matrix Revolution, 903 CCTV Europe, 904 Big Buck Bunny, 905 Al Jazeera and 906 Elephants Dream. All but 903 and 905 delivered HD pictures over my broadband connection but, as our pre-production boxes don't have the appropriate sound chip enabled, only 903 and 905 had sound. When tuning to one of these channels (and they are a sample set of test channels, not an example of what might eventually be available) there is sometimes a very brief period where the picture quality varies. This is the adaptive streaming process altering the resolution in response to your broadband speed without buffering. It offers you HD when it can, but when your speed drops below a certain level the box reduces the quality to the highest your connection can provide. My bog standard Plusnet package seemed to cope well with the stream and gave me excellent HD PQ. 3view say that, in the future, this is how they expect to offer additional channel packages and content over and above the free TV channels from your aerial. Apparently, merging web-streamed content into the same EPG as terrestrial broadcasts plus the delivery of high definition content via the web is unique to the 3view box. Seeing as there’s a lot of people waiting for updates on the delivery of the 3view product we just wanted to provide a brief update. You will be happy to hear that manufacturing is progressing in line with our stated timescales and we expect to hit our shipping targets. The shift in delivery time has allowed our development teams to focus on further updating the software and we hope the full production version is going to run even quicker and slicker than ever before. Software development is an ongoing process and we are confident that the latest version will see the full production box even better than before, something which we owe to the feedback from the Beta testers. Their comments on the prototype software has proven a very useful form of stress testing and has not only helped us identify minor bugs, but even on one occasion helped us identify new functionality. In terms of specific updates, iPlayer integration into the new software is looking good and we are awaiting a single update. More interestingly for those at home, we have added new functionality allowing people to stream recorded content from their home box to Windows 7 PCs and Apple Macs. This means people will be able to stream TV content recorded at home direct to a connected computer. We are still refining this feature but it is a direct result of something one of our Beta testers suggested. Everyone at 3view is working hard to make sure the production box is as good as we know it can be. We continue to be excited by the possibilities offered by the product, but realise this is something which the general public needs to experience for themselves and are determined to make this happen as soon as possible. Four days after the previous firmware was released, 3view have released another. Downloading and installing over the Internet was easy and trouble-free. As before, all my timers were intact and the EPG remained fully populated. One week after the previous firmware was released, 3view have released another. Downloading and installing it took around 10 minutes and was dealt with automatically once I had gone into the 'Settings' menu, found that there was a new file available over the network, and initiated the update. There is no changelog available so it will take some time to understand what has been changed. All my timers were intact, as was the EPG. The Eco design requirement for Simple Set Top Boxes state that a standby mode means "a condition where the equipment is connected to the mains power source, depends on energy input from the mains power source to work as intended and provides **/only /**the following functions, which may persist for an indefinite time: (a) reactivation function, or reactivation function and only an indication of enabled reactivation function; and/or (b) information or status display." Currently the regulations do no apply to SSTB with an integrated hard disk or second tuner for another year. After this time the power requirement is that in "Standby mode" power consumption limits should not exceed 1W ± 10%. (0.5W standard + 0.5W allowance for display function). In active mode, due to have a hard disk, having a second tuner and decoding HD signals 3view has a maximum power consumption rate of 13W. These regulations have nothing to do with Freeview accreditation and are EU regulations. 1) Wake on LAN for remote access to the box to push software / firmware updates or even just for streaming around the home to other DLNA enabled devices. 2) Wake on timed events like PVR. 3) Z-wave functionality requires us to have the box running as a server constantly so that you're able to control all the z-wave devices in the home. Every box has a z-wave chip embedded in the software will be upgraded in the field in the future. * They believe that at the moment the box's rating is about 5-6W on standby but say they are working to reduce this. The box comes with a remote control, an HDMI cable and an Ethernet cable. An aerial lead is not included, nor is a cable to connect the coaxial digital output. Once the cables are connected to their respective devices the box can be connected to the mains socket (the power supply is an external block and not internal to ensure the box runs cool and reliability is enhanced). The box boots up quite quickly and enters the setup wizard automatically. Choices include screen resolution and shape, time zone and signal source. The box scans for channels automatically taking around seven minutes to find 99 channels on the Emley Moor transmitter (currently operating on reduced power) with the three HD channels (BBC HD, ITV1 HD and Channel 4 HD) being found first. Pressing the 'Setup' button gives access to firmware updates which are available either from 'USB Removable-Media Update' or 'Network'. By going to 'Network', which the box had found automatically and without any fuss, a list of available updates can be found. Moving to the appropriate entry and pressing 'OK' starts the download which takes approximately 10 minutes. Verifying, unpacking and installing takes a while longer but, again, is all automatic. Once installed, the box re-boots. Putting the box into standby leaves a message on screen: 'In standby mode; use power button to turn on' which is useful when changing sources on your TV. How this affects power consumption in standby, I do not know. The box takes no time at all to come out of standby. Booting up after power has been totally removed takes a little longer at 62 seconds to the 3view logo appearing and 80 seconds to the broadcast picture. Access to menus is available immediately after the broadcast picture appears. The box will automatically reboot after a power cut and timers are not affected. The box records programmes as expected. 3view have said that firmware builds are expected to be on a weekly schedule at the moment but that will clearly reduce once initial issues have been sorted. Additional functionality is expected to be added on a rolling programme with iPlayer imminent. 3view have revealed that, unlike the pre-production units, the production units will have an external power supply. While external power supplies can look untidy, they do ensure that the temperature inside the PVR's casing is lower than it would be with an internal supply and, as a consequence, the unit should be more reliable. It takes you to a menu screen with options for Search, and the 'PVR Event Viewer' at the top, with a list relating to recordings and timers below. Pressing 'OK' on the first on the list, 'All Programmes', produces, surprise, surprise, a list on the right hand side of the screen of all of the available recordings, with the day and date they were made, along with the list of timers waiting to fire. Single event timers have a single green tick against them, series timers have two ticks. Moving off 'All Programmes' moves onto the individual recordings and timers which are listed in alphabetical order. Again, those with timers yet to fire have ticks against them, those with no pending timers have no tick. Landing on a programme name displays, at the top of the screen, the programme name, date recorded, programme description from the EPG, episode number/total number of programmes in the series (eg 7/9), how long the recording will be saved (assuming you didn't set it to be kept for ever when the timer was set, you will see something like 'Save until at least Mon 14/6 1:02 AM). All of the recordings associated with that particular programme are listed on the right of the screen followed by timers set to fire. Ticks show whether or not the timers are single or series. Moving across onto the list and pressing 'OK' on a recording pops a menu up: 'Play', 'Record Series', 'View Upcoming' (shows all entries for that programme currently to be found in the EPG), 'Save Until', 'Put in Trash' (from where a recording can letter be reinstated if you haven't already chosen to permanently delete it!). The final entry is 'Don't do Anything' which is slightly surplus as pressing 'Back' takes you out of the menu without doing anything! Pressing 'OK' on an entry in the recordings list which is showing timers are still set (ticks) produces a menu with 'Play First Available', 'Series Options', 'Cancel Recordings', 'View Upcoming' and 'Delete'. If the programme does not have any further recordings set (ie, it was recorded from a single timer) then the menu consists of 'Play First Available', 'Record Series', 'View Upcoming' and 'Delete'. Move to the appropriate timer, press 'OK', and then move it up or down in the list to give it the priority you want. Obviously, Doctor Who had to go to the bottom of the list! Once the move has been made, press 'OK' again, move to 'Accept - Use These Priorities' and press 'OK' on it. The list of recordings now shows green ticks without the exclamation mark as the clash has been dealt with. I think a minor improvement here would be to show the ticks with a grey exclamation mark to remind you that there was a clash and that you might want to revisit it. A couple of observations: I'm not sure what the (2.5) etc above refer to, and channel 301 (the channel the red button would go to) is included in searches. When a recording is played a timeline bar is shown at the bottom of the screen with the time played and time left on it. At the ends of the bar are hatched sections to show the pre- and post- programme padding (sorry, 'Bonus Before' in 3view speak). The programme starts playing after the pre-programme padding which would confirm that accurate recording has been implemented. Stop the playback and restart it and it restarts from where you left off. There's probably a lot more to the PVR button that I've not yet discovered but the above should give a good feel for how the box works. The box: it exists, it works, and I've not seen a single targeted ad. As for the following, please bear in mind that any value judgements are *my* judgements based on *my* experience and your mileage will almost certainly vary. In addition, I have no reason not to tell it how it is. 3view have asked me to feedback anything and everything I find. Not to do so would be plain daft! As soon as I connected the box up it found my homeplug network and I was offered a firmware upgrade dated yesterday at just after noon. The download took around 10 minutes and then quite a while was spent in installing it. All this happened automatically apart from me choosing from three different upgrades that were listed. Once the upgrade had been downloaded and installed, the setup wizard kicked in with a short series of choices (screen resolution, time zone etc). A channel scan then took around seven minutes with the three HD channnels (BBC HD, ITV1 HD and Channel 4 HD) being found first on channels 50, 51 and 52 and a further 96 following on. Though Emley Moor is currently broadcasting on reduced power, the signal strength was reported as pretty high (usually five bars out of six). The remote control isn't the final design and seems to be quite directional. It also has two buttons marked 'Guide'. I need to find time to discover if they have identical functionality. The box sometimes seems a little slow to respond but I'm not sure whether that's a consequence of the suspected directionality or because the box needs time to do what I've asked it to do. What doesn't help is that there are no lights on the box, so nothing to indicate that it's seen a signal from the remote, or even that it's on! I understand that this may change. Picture quality is superb. Comparing Shaun the Sheep on the 3view box with the same on my Humax freesat HDR, the 3view box comes out on top. The picture is clear, solid and has plenty of detail. Sound is good through the supplied HDMI lead, although a little quiet. There are three options for digital sound output via the coaxial connection: none, PCM ('audio converted to stereo') or Bitstream ('audio sent in original format'). I've not discovered whether or not the box will output a signal that will produce surround sound on my amp as I've not yet found a suitable broadcast. The UI is smooth, easy to use and clearly very well thought out. Most of the time the picture reduces in size and slides either to a corner or a side to leave room on the screen for the EPG or whatever. Pressing Guide brings up the EPG. The programme picture reduces in size and slides to the top left corner of the screen. Neat! The rest of the screen shows the channel number, channel name, screen resolution, signal strength, programme name and programme description. At the bottom of the screen is a six channel listing of programmes over the following hour and a half. The EPG can be scrolled through and if a programme is of interest then pressing OK brings up an options pane: 'Watch this channel', Record episode', Record series', View upcoming', 'Manual record' and 'Don't do anything'. It's a little disappointing that to go from the top of the list to the bottom you have to use the down key several times rather than the up key just once (the reverse is true also). 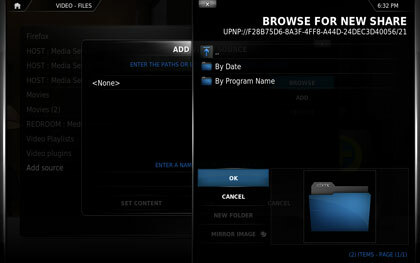 Outside of the options screen, entering a channel number moves the EPG to a listing with that channel at the top. Whilst in the EPG, the currently watched channel remains with vision and sound still available, unlike other boxes I have experience of which lose the sound and picture until the EPG has been downloaded. Bonus required: 'Try, no prompt', 'Try, prompt', 'Required'. As far as managing recordings is concerned, I've yet to have any to investigate! However, I can confirm that 'record two, watch a third' has not, to my disappointment, been implemented. Yet. There's hope, though, as firmware releases are on a weekly release schedule. iPlayer is there but not fully functional, YouTube works and works well, Sky Player is 'coming soon' and the 'Amazon.com'(!) icon goes to Google's home page. A USB keyboard and mouse are needed to take this further. As an aside, both USB sockets are tucked away on the back of the box. Perhaps they would have been better placed under a flap at the front. 3view have listened to the suggestion and seem responsive to a change in location. The box is not (yet) perfect. For example, I've just come out of the PVR screen and have been dumped into what looks like a zoomed picture that I'm having some difficulty in getting out of. That said, I'm more than pleased with what I've seen so far, though I suspect I've barely scratched the surface of what the box can do. There's clearly a lot of thought gone into it and I'm impressed. Sadly, the 3view PVR has missed its expected shipping date of 27 May 2010. Unfortunately because of unexpected problems with suppliers and the manufacturing process, 3view will now not start shipping until the end of June. The product will be in limited numbers initially and quickly increase towards the end of July when we guarantee everyone who wants one will have a new 3view box in their home. We can only apologise for this unexpected delay and will give a full-refund to anyone who decides they do not want to wait. Our team is calling people who pre-ordered the box personally and emailing those who we cannot get hold of. For me personally, 3view is the result of years of hard work and I am as frustrated as anyone else to see the shipping date delayed. The team is working as hard as possible to ensure we deliver on the new timescales and in the meantime we will keep you updated as and when we have news.